Made from cast metal, this stylish wallplate adds simple elegance to your decor. Decorating with wallplates is an economical way to make great impact in your home. View More In Wall Plates. If you have any questions about this product by Amerelle, contact us by completing and submitting the form below. If you are looking for a specif part number, please include it with your message. 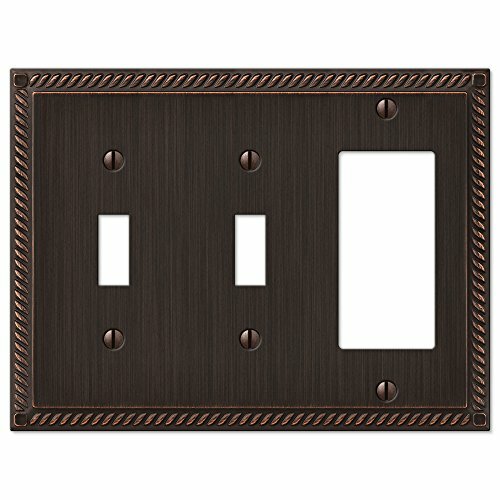 Baldwin Estate 4797.112.CD Rope Double GFCI Wall Plate in Venetian Bronze, 5.9"x5.4"